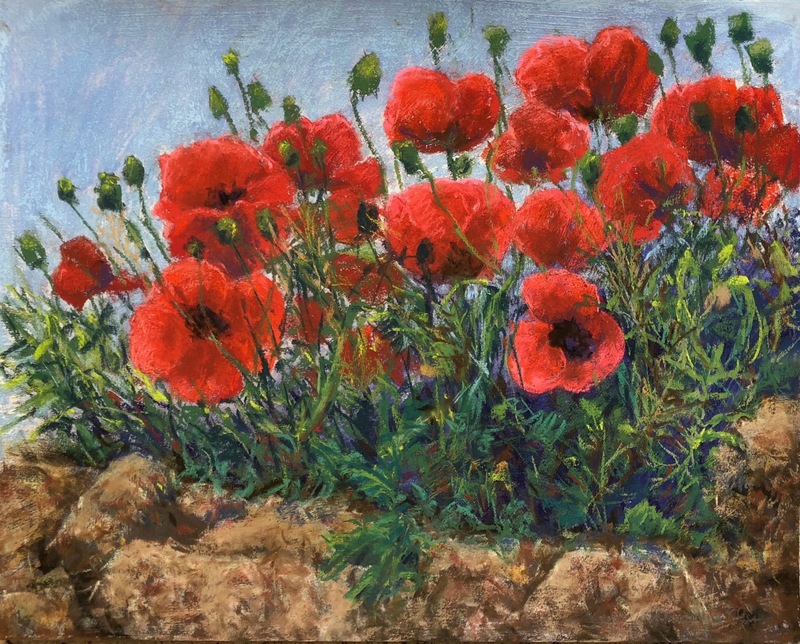 Poppies in Les Baux de Provence. Welcome to my website. Thank you for visiting my Galleries of original creations in various media. It is my joy to share these artworks with you. As you will see, I work in pastel, collage, acrylic, oil and mixed media. I am continually experimenting, trying new techniques, color combinations, designs, and subjects. That makes it more fun for me, and for you as the viewer, but also more challenging for me, as my art evolves and changes. This does not mean that older work is not as good as the newer works, but just may appear to be different. Masterpieces appear at any time. I work with the best archival, acid free and lightfast materials possible, so that my artwork will enlighten your life for many years to come. My art emerges from my inner soul as I experience life around me. I hope you enjoy the journey. All of the contents of this website are under the protection of the copyright laws of the United States of America and all international copyright laws. Therefore, no content may be copied, reproduced, used in a derivative work, stored, manipulated or used as a basis for, or part of another artist's work without the exclusive written permission of the artist, Tanya Trinkaus Glass. A derivative work is the use of Tanya Trinkaus Glass' work as the basis for, or part of another artist's concept or composition, and is a violation of copyright and is punishable under law.